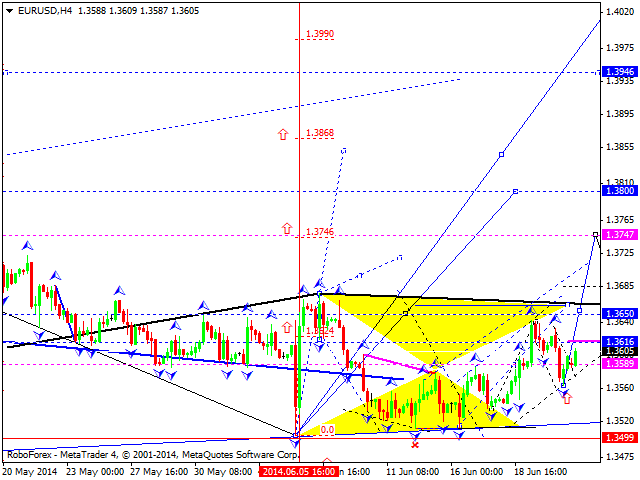 GBP USD, "British pound vs US Dollar"
GBPUSD is probably developing inside correctional phase with 1.6995 as a target. For today I assume that this level can be violated. 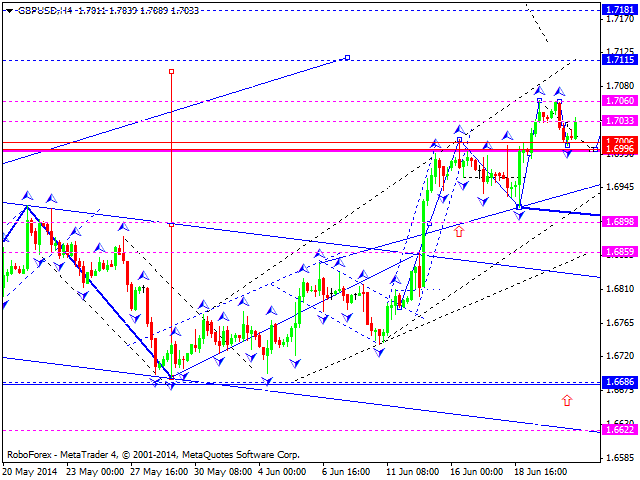 After that probably market can initiate ascending move to 1.7115. After that, in case everything of described above happens, correctional phase may start. USD CHF, "US Dollar vs Swiss Franc"
USDCHF is continuing to move inside descending impulse. 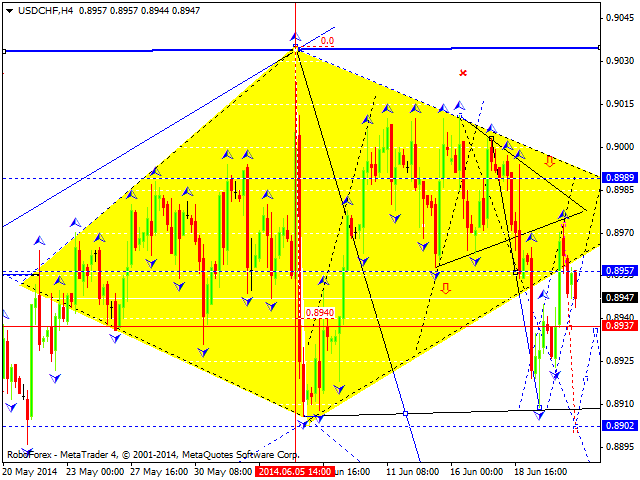 For today basic scenario is breakout of 0.8900 and further consolidation with possible bearish structure. 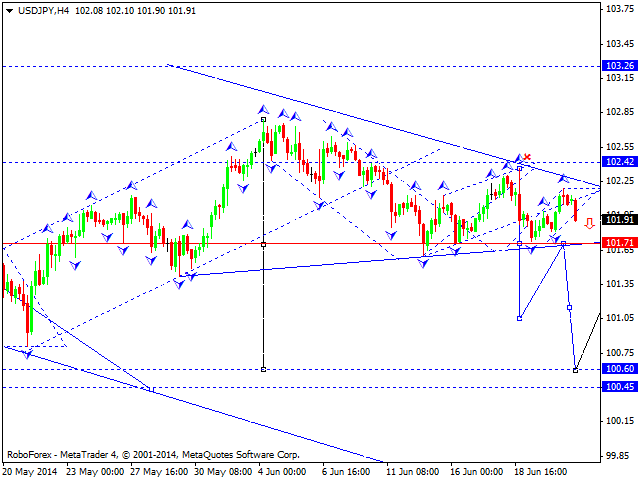 Target for descending move is considered to be at 0.8780. USD JPY, "US Dollar vs Japanese Yen"
USDJPY is continuing to move is descending impulse. Breakout of 101.70 is expected with further decline to 101.00. After that price may test 101.70 from below and initiate additional decline to 99.30. 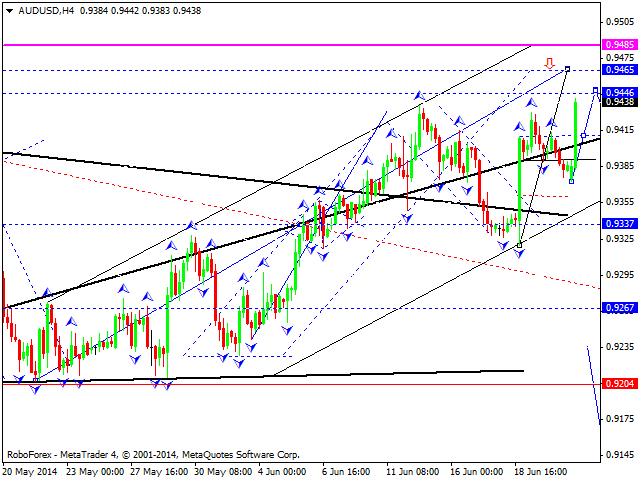 AUD USD, "Australian dollar vs US dollar"
AUDUSD continues to move within bullish structure with 0.9465 as a target. After that I will expect development of correctional structure with 0.9270 as a target. USD RUB, "US Dollar vs Russian Rouble"
Russian rouble is trading inside 3rd descending wave with 33.94 as a target. For today I will expect that target will be achieved with further development of 4th correctional structure and hitting 35.00. 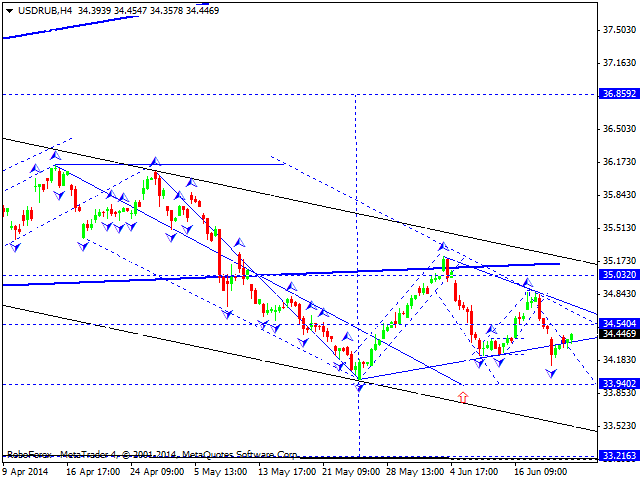 After that 5th descending wave can be developed with 33.20 as a target. XAU USD, "Gold vs US Dollar"
XAUUSD (Gold) is probably consolidating on the top of the ascending wave. I will expect that this phase is a part of reversal pattern. 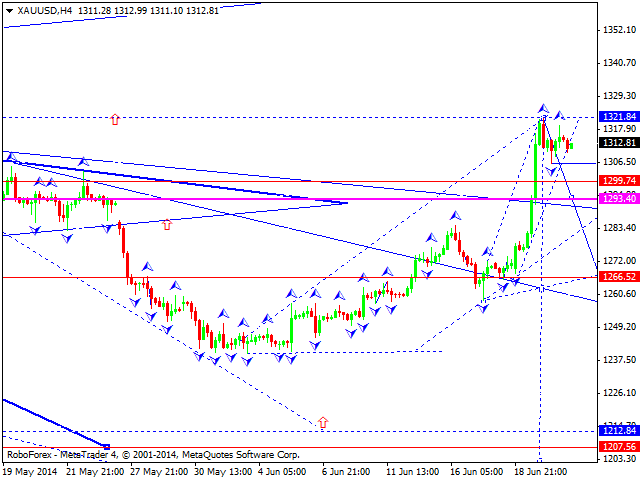 For today I will expect that new descending wave can be initiated with target of 1208.